Clock Tower Beach Montreal. Photo Kim Hachey. Ever since the beach was opened to the public last summer, I desperately wanted to go. Unfortunately, I ended up missing out on my chance to enjoy the beach’s sandy grounds and comfy lounge chairs during its first year. Last weekend marked the official opening of the Clock Tower Beach for this summer seaso, and I was determined not to miss it for a second summer in a row. On June 1st, the day of my birthday, I decided that it was the perfect day to sit back, relax, and enjoy the great weather. I initially hesitated about going to the beach on that specific day, thinking it would be overly crowded because it was the opening weekend; however, I was pleased to see that there were still many empty chairs available, and more than enough space for people to lie down in the sand if desired. The fact that the beach was not too crowded made the experience highly enjoyable. I also noticed that parents with children stayed on the side of the beach facing the bridge, while couples and young adults were usually on the side facing Old Montreal. The view from the beach was gorgeous, no matter which side I was looking out from. The Clock Tower Beach may be an urban beach, but it is impressive; I highly recommend it. It is a little oasis in our chaotic city, and it gives visitors the chance to experience vacation-style relaxation without even setting foot outside of the city. The beach is very clean and spacious, and many people will be interested to know that there is a bar near the entrance, where drinks are available and allowed on site. 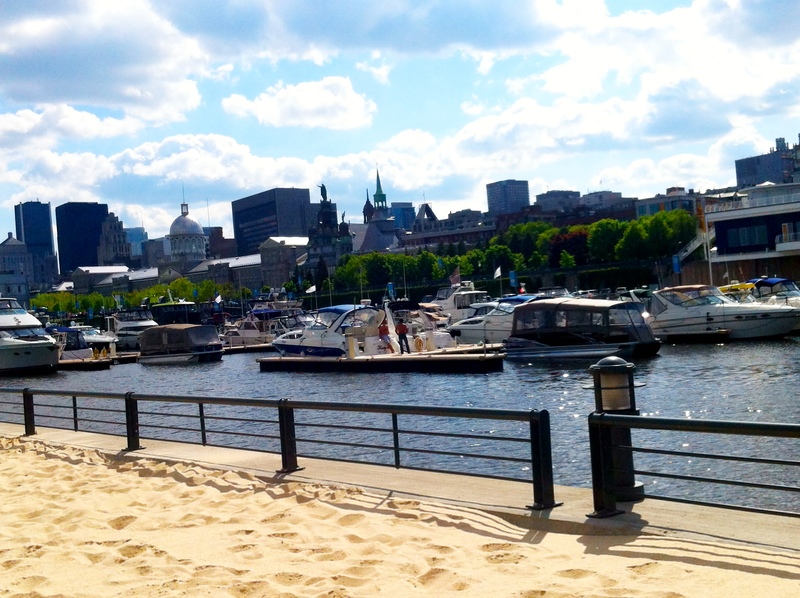 The beach is just as enjoyable for Montrealers as it is for tourists visiting the city for the first time. Plus, its location is very convenient, and near metro stations. I may have crossed this item off my list, but I will surely revisit the beach again throughout the summer, without a doubt! 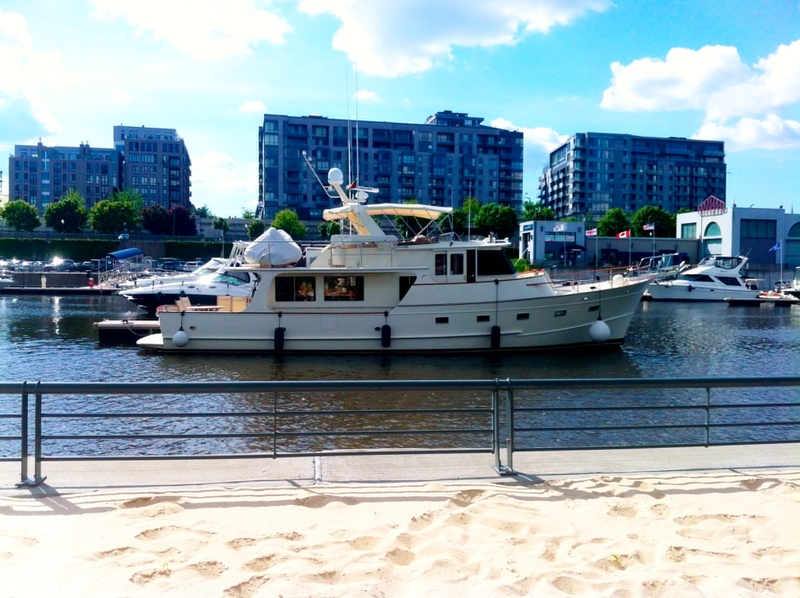 A must-do for the summer season in Montreal. 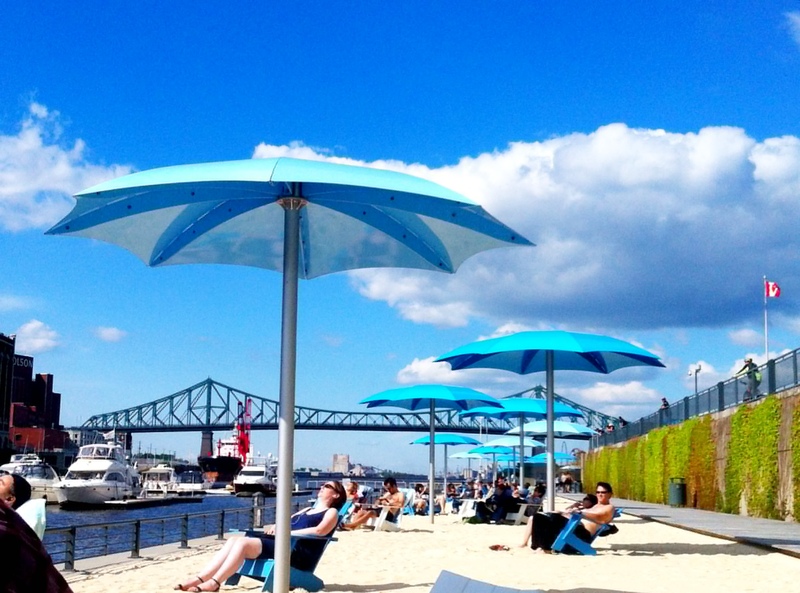 Clock Tower Beach (Rue Quai de l’Horloge) is located near the Champ-de-Mars and Place- d’Armes metro stations. What are their hours here? I’m thinking of an early morning breakfast at The Steakhouse the Old Port followed by a beach lull before going to Park Drapeau to do some laps in one of those long long pools.